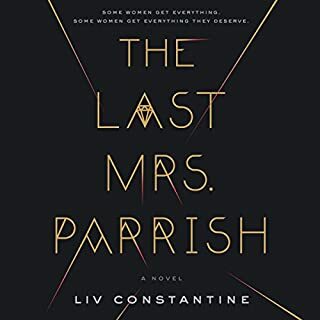 I love Ruth Ware but I am so disappointed!I had a hard time understanding the choices made by the characters in this book and it drove me crazy. I like when individuals are put in impossible situations, forcing them to make decisions that (as a reader) you may not agree with but you understand. I found myself continually rolling my eyes and wondering WHO DOES THAT?! It made the book seem ridiculous. Very frustrating! First, Imogen Church ALWAYS gives an outstanding performance, so it is no surprise that she gives one to this book. I LOVE Ruth Ware's writing and character building and humor but somehow things didn't come together on this one. It should be called "The "I'm Going To Make It Up As I Go" Game". Just the summary of the book is misleading, you'll figure that out in the first couple chapters and then somehow low and behold it wasn't? Huh? Exactly! There is a good (not great) story in here somewhere but the marketing of the book ruined it. So you think your entering into one thing only to find your entering into an entirely different story. Plus there are chapters of flashbacks which are okay but are not really necessary since the author re tells them in present time...again why? So if you really really enjoy Imogen Church and Ruth Ware and don't mind being a little bit more than disappointed that this is what came after a two year wait then buy it. I was excited about this book, but very early on I realized it wasn't what I was expecting. 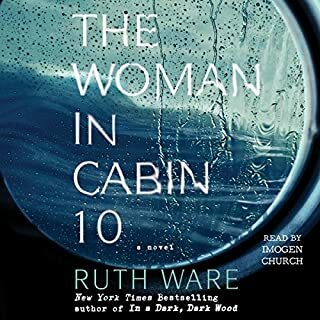 I had previously read The Woman in Cabin 10 and enjoyed it pretty well, my reasoning for buying this one. The thing that bugs me the most is that the protagonist is so idiotic (but supposedly a lawyer) and puts herself and infant child in peril so much that you don't root for her at all and to me that is an important aspect. The author did the same thing in Cabin 10 book but that story was much more suspenseful so it was forgivable. Why can't the main character be realistically intelligent?! I don't think this is worth a credit, if anything get a copy from the library if you must. I feel like most readers will be disappointed. The character's name mentioned in the summary is wrong. The person described is really named Kate. Isa is the storyteller. Maybe not a big deal but it bothered me. Then came the story of the woman in the cabin. Urgh. Hated it. 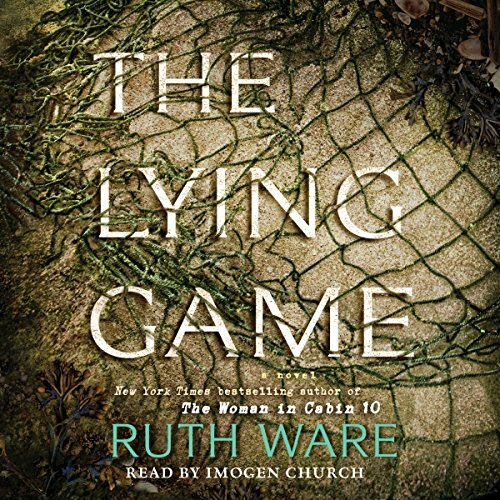 I decided that since I enjoyed her first book so much, I would go ahead and try my luck with 'The Lying Game.' I didn't read a thing about the book- I just bought it and listened. First off.. this isn't a good book. Make no mistake, I wanted to chuck my phone through my window on my hour plus drive home during the first 4 hours of listening. 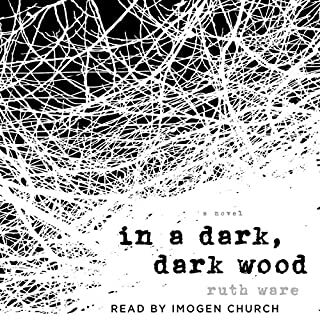 Imogen Church does a fantastic job of narrating the book- so props for that. Good job, Ms. Church. The Lying Game is about a group of four friends who went to a private school together and gather years after they've done something terribly wrong (it's a big secret- and it's a let down). They are worried and tortured because of the one mistake they made while in private school. So- there might actually be a story here-- but the problem is in the telling. Ware actually repeats the story twice. Once in present time and once in 'flashback time.' Also, the story is so disassociated- it doesn't match. It's like Ms. Ware had no outline and sort of made it up as she went. I will say that although the first 4-5 hours of this book are fairly tedious, it does pick up with about 4 hours left to go and I did want to listen to the rest of it to see what would happen next. I think Ms. Ware should cut about 7 hours out of this novel.. or maybe not have written it at all. She's got one more chance with me though... because I loved 'In a Dark, Dark Wood' so very much. 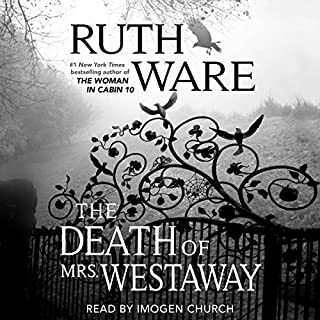 I love Ruth Ware's stories. She has great character development that allow you to "get to know" each character. Imogen Church is amazing, as always, and gives each character a clear and recognizable voice. However. This story was very long-winded and there were a couple of times there were phrases/ideas repeated. There is a lot of focus on unsubstantial points (the baby's crying) - and you are brought over and over again to these topics. The lead in the story also does some pretty impossible things with her baby (in my opinion) - especially as Ruth has made it very clear that the baby gets upset easily and often. Just didn't work for me like her other stories have. Curious if it gets better ? I still have 5 hours to go, and I like the mystery part. But it seems like 50% of the book revolves around the baby: what she is doing, when she is breastfeeding, etc. Babies are great and all, but I thought I was purchasing a thriller/suspense?? I turned this off several times because I got so sick of hearing about the baby. Not sure why the baby had such a huge role in the story considering she had nothing to do with the main story. Enough with the breast-feeding! We get it. It was predictable and long and boring. The big secret isn't even that big of a deal. It should have been more dramatic. This is the first book I have "read "from this author. Guess I'll have to try the others because this was a waste of my time. Enjoy this like watching grass grow. 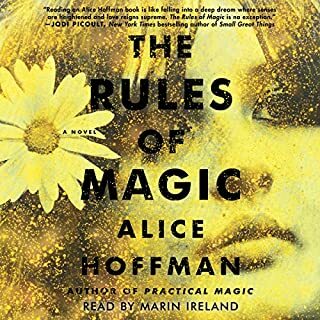 The narrator does a halfway decent job at trying to breathe life into an inanimate object, though her interpretation of males voices sounds satire at best. The story it's self is wrote as if someone juvenile is trying to sound more refined than her age permits. The very thin and weak plot is much like a small splat of red paint on a canvass. You expect as a listener for it to be spread out and turned into a thing of art at any moment. Only to see the red mark dry, harden and then covered up by multiple layers of grey boring and repetitive layers that does nothing for the story other than make it wordy and long. I personally dislike stopping a book midway. 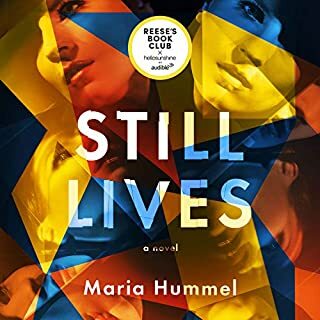 So it is only after getting through the painfully slow and mind numbing book that is the "lying game " I find myself contemptuously writing this review. If you don't mind wasting 14 hrs of your life then this book may be for you , otherwise don't make the same mistake that I did. On a side note the book is very effective at being a drug free sleeping agent. PAINFUL TO GET TO THE END!! I had the hardest time getting through this book!! I had convinced myself it was going to get better but it never did!! I still am not sure what happened with the Mary thing but I guess nothing?! Then it turns out she really doesn't love what seems to be a wonderful man so she's going to keep up the lie with him?! I'd be lying if I said I liked it! !